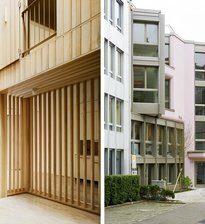 The project for the site of the former Basel children’s hospital responds to the open housing blocks between Alemannengasse und Schaffhauserrheinweg with their interspersed greenery by adding an ensemble of four compact freestanding buildings. They define the main edges of the public streetscape while at the same time creating an open park area between the neighbourhood and the banks of the Rhine. Each of the four houses is oriented toward the water while also being bound by the spatial logic of the whole block. 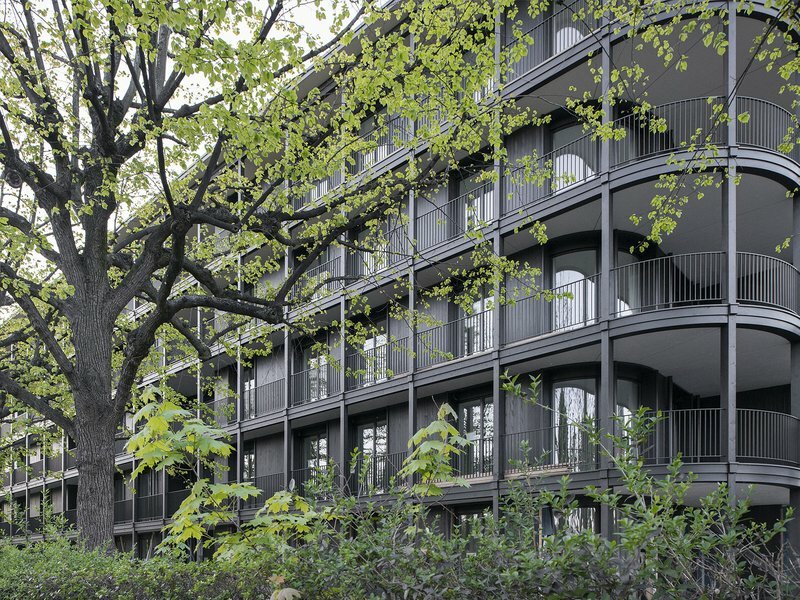 The 86 residential units, all of which have views of the Rhine, feature a main living space in an attractive corner location and a wraparound balcony. 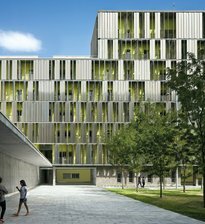 The façades with their tectonic logic and the homogeneous effect of their grid structure and wood cladding create an urban brand of timber architecture whose volumetric transparency befits their waterside setting.